Rav Ashlag gives a short explanation on the Haggadah, the text which we read at the Pesach Seder. He explains that when you add the letter Alef - which represents the Light of the Creator - to the word Goleh, exile, you get the word Gelulah, Redemption. This teaches us, Rav Ashlag says, that the only way to come to Redemption is by taking in and changing the darkness. Most of us have times of darkness in our lives that we want to get through quickly and hope will come to Light. But in order for the true Light to come we need to be able to transform the darkness, to experience the Light in the darkness, because it is not that we experience darkness and then come to Light. It’s that the energy of the darkness is transformed and becomes the Light. Therefore, Rav Ashlag tells us if we are able to inject the Alef, the Light of the Creator, into the darkness, if we embrace the darkness by knowing it is energy that needs to be transformed, then we actually begin to enjoy those times of darkness, because every moment of that difficulty is a moment of Light and energy that we need in order to have the totality of our blessings. There’s a section in the Zohar, in Tetzaveh, where Rav Shimon quotes a verse from the Book of Daniel - “The Creator reveals what is deep and hidden… the Creator knows what is in darkness… if not for that darkness that is transformed, the energy within that darkness that is transformed... you will never know Light…” He uses these three words yada ma bachashucha; if you are connected to the Light of the Creator, you come to know what is in the darkness. As Rav Ashlag teaches us, the difference between Goleh and Geulah, the difference between darkness and Light, is only the injection of the Light of the Creator. And when you are able to inject the Light of the Creator into any situation of darkness, you have greater blessings than you can ever imagine. 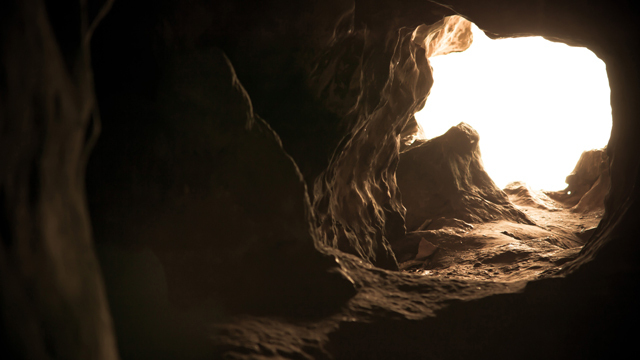 One of the great gifts of Pesach, therefore, is that we want to learn, to know, to really have the consciousness of what is in those challenges, of what is in that darkness. Rav Ashlag tells us, “There is no difference between the time of darkness and the time of great Light except the letter Alef.” If we can feel and experience that consciousness, keeping it in our mind not just during Pesach, but for the rest of the year, then whenever we are experiencing a challenge and know with certainty that it’s the Light of the Creator, we can turn the Goleh, darkness, into the Geulah, the Redemption, the greatest blessing. Most of us are not there yet, but on Pesach, every single one of us, if we desire it, can begin this process.